Just imagine relaxing on a sugar white sandy beach and listening to the gentle waves of the Gulf of Mexico lap the shore. Going for lunch at a local restaurant that specializes in local seafood cooked to perfection. How about a game of golf at one of the nearby championship golf courses, or try your luck at one of the world-class casinos just down the street? Where would you stay to be so close to so much fun and activities? 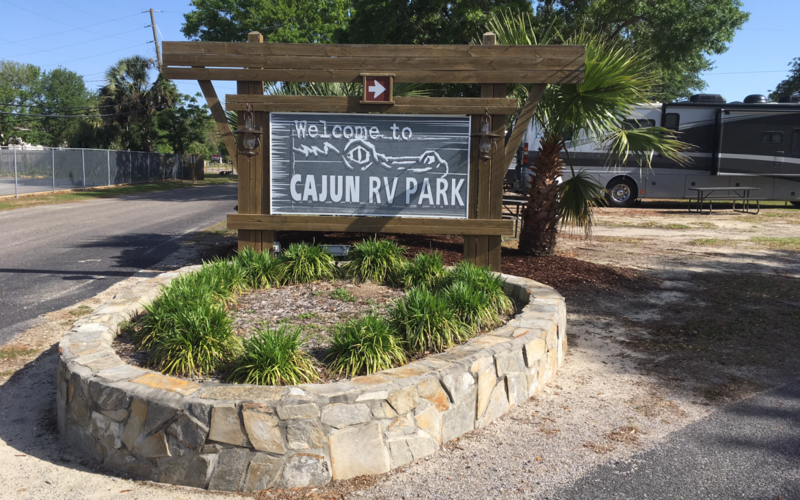 Cajun RV Park in Biloxi, Mississippi will put you in the heart of everything! 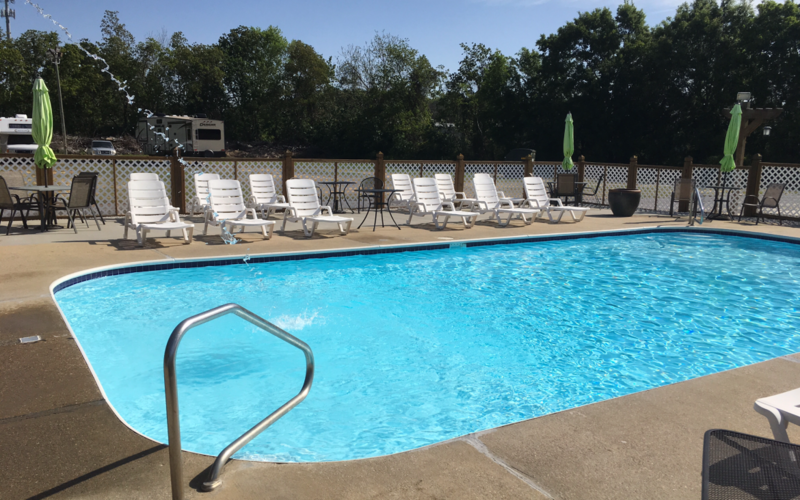 Located just across the street from Biloxi Beach, which is part of the 26 miles of beaches, this 130 site RV park is centrally located for you to maximize your time and activities. All sites are full hookups with 30/50 amps and come with cable tv and free WiFi. The park offers spacious sites amongst a combination of oak and palm trees giving the location both the look and feel of a tropical getaway. Start your morning with a cup of coffee and a danish served in our customers’ lounge. Step outside to have a morning swim in our beautifully landscaped pool and we also offer 24-hour bathhouse and laundry facilities. 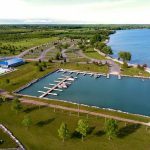 There is a playground and a dog park available also. Cajun RV Park sits close to the white beaches of the Mississippi Gulf Coast. 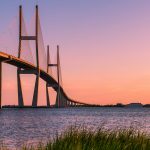 When you are done soaking it up, enjoy a variety of restaurants that offer everything from burgers and fries to some of the finest seafood available in the Mississippi Coastal area. Take a drive down Beach Blvd. to view historic homes that are graced by majestic oaks covered with Spanish moss. Visit one of the many museums and art galleries in the area as well. You will find the Ohr-O’Keefe Museum of Fine Art to have the largest collection of the works of Ohr in the United States. There is a shopping mall, water park, a discovery center, and one of the oldest cast iron lighthouses (built in 1848). Visit our Maritime Seafood Industry, and not far away is the NASA/Stennis Space Center. Cajun RV Park is only 75 miles from the “The Big Easy” New Orleans. Take a swamp tour or an airboat ride, maybe tour the historic antebellum homes that will take you back to another time. Try a cup of Cajun coffee and a beignet at an open-air restaurant in the French Quarter. 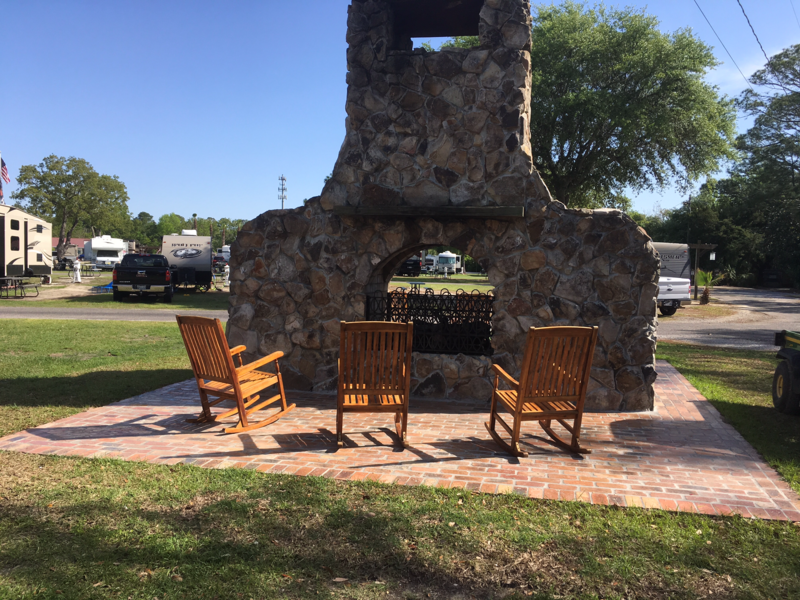 After a full day in New Orleans, come back to Cajun RV Park and sit in front of our outdoor fireplace and watch the beautiful sunset as you reminisce about the fabulous time you have had on the Mississippi Gulf Coast. You will find our southern hospitality will make this a trip of a lifetime!